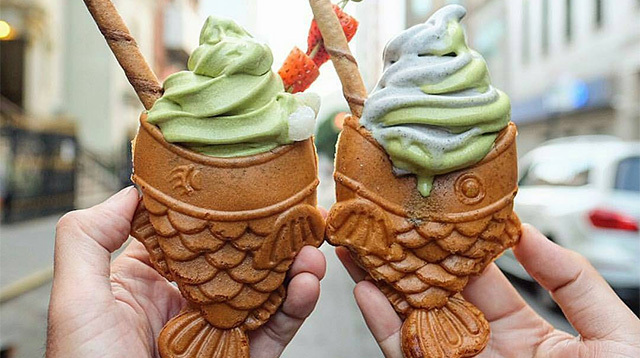 Mic brings our attention to these adorable fish-shaped waffle cones that are a form of the Japanese dessert called taiyaki, which Serious Eats describes as a cake-like item made from waffle-esque batter that is typically filled with sweet red bean paste. Now, it's shaped like a fish, tastes like a waffle, and is filled with ice cream. UGH.